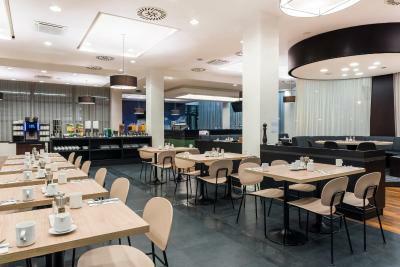 Lock in a great price for Courtyard by Marriott Prague Airport – rated 8.5 by recent guests! 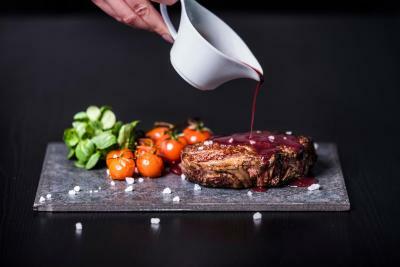 The staff was exceptional! I have stayed before but never got to eat the breakfast. 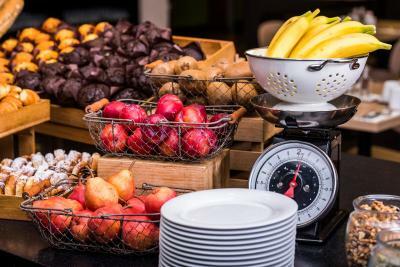 The staff at the breakfast buffet was so courteous, friendly and attentive!! Their English was impeccable. Something I would expect from the front desk staff but was impressed that the professionalism was through out the hotel. Perfect Location, friendly staff, neat and clean rooms and nice breakfast. We stayed here for a night before our flight to our next destination. Being a Marriott, it stayed true to its standard. Polite, smiling and helpful staff. So many facilities. Big rooms, good facilities. Huge restaurant with very sweet staff. 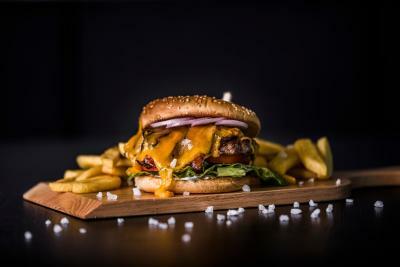 Conveniently located, only 2 mins away walking distance from the Prague Airport. At the airport - great for early morning check-in, and rental car return. Very good location, friendly stuff, awesome promo price ! 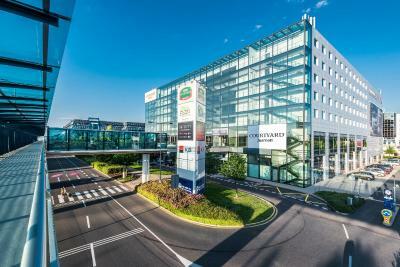 excellent service, excellent hotel, excellent location just next to Prague Int'l Airport ! Location for travelers making early flight. Terminal is only 3 minute walk from the hotel lobby. Right across the street. Restaurant had very good menu selection. Love the Thai Red curry with shrimp. Listed item is with chicken but we wanted shrimp which the chef served with no additional charge. Room is spacious and be comfy. The service at reception was exceptional. Our stay was due to a flight cancellation, so we were already stressed when we arrived. Reception did everything they could to out a smile on our face and make sure the process was as smooth as possible. I would highly recommend this hotel. 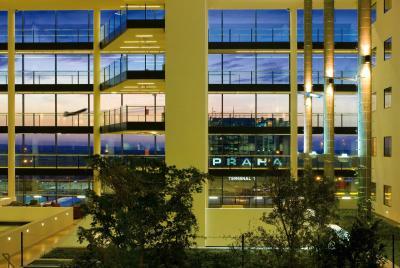 We booked one night at this hotel in order to be close to Terminal 2 at PRG for a very early morning flight. It was perfect for that purpose; we had a good night's sleep in a quiet, very comfortable room, and were walking distance from the terminal. 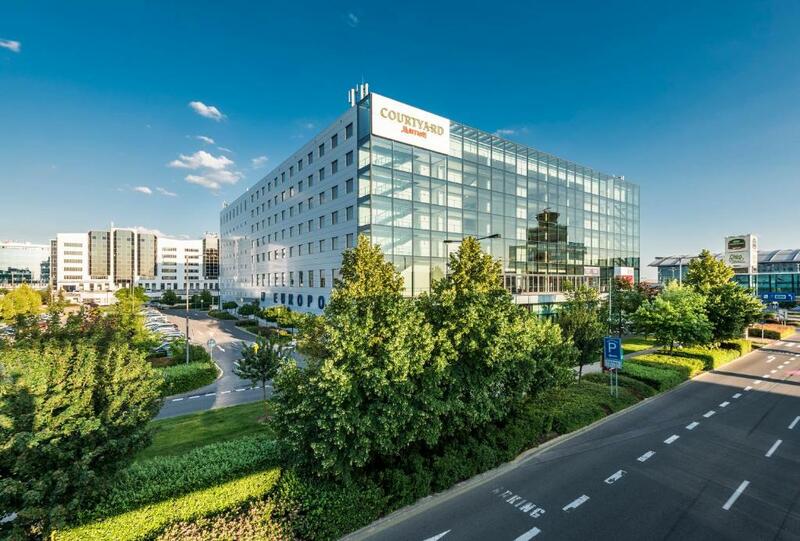 Courtyard by Marriott Prague Airport This rating is a reflection of how the property compares to the industry standard when it comes to price, facilities and services available. It's based on a self-evaluation by the property. Use this rating to help choose your stay! One of our top picks in Prague.Courtyard by Marriott Prague Airport is located right at the airport, just a 20-minute drive from Prague's city center and will certainly impress you with its grand modern architecture. The Courtyard bedrooms have been developed following substantial research about what business travelers want. As a result you will find high-quality rooms that guarantee productivity, access, connectivity and relaxation during your stay. The rooms feature Courtyards bedding, free WiFi, a well-lit work desk with an ergonomic chair, a 42-inch flat-screen TV with 100 channels and free movie channel, individually controlled air-conditioning and double locks with an electronic security system and much more. 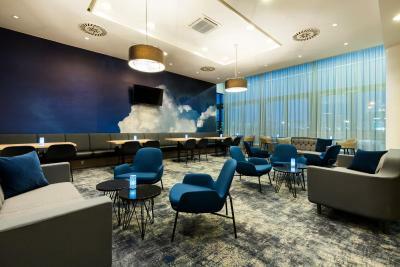 Whether traveling for business or pleasure, the Courtyard by Marriott Prague Airport hotel offers an ideal location and first-class amenities for all travelers coming to the Golden City. 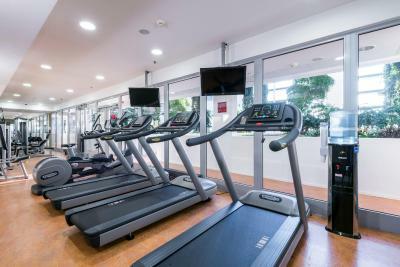 Amenities available 24 hours a day include the business center, a fitness room, early breakfast and a convenience market. 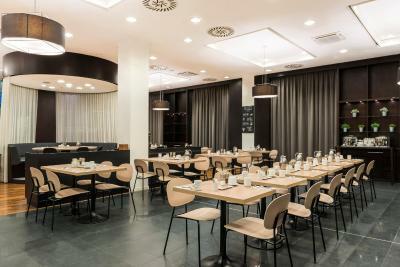 When would you like to stay at Courtyard by Marriott Prague Airport? 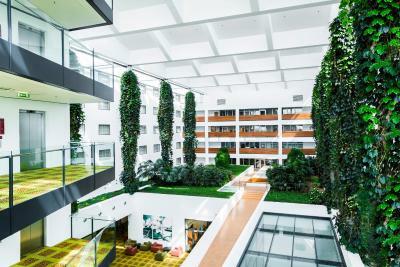 The Courtyard by Marriott Prague Airport hotel is located at the Prague international airport. 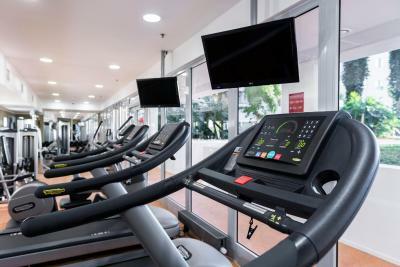 Our hotel offers spacious accommodations, on-site restaurant, event facilities, fitness and on-site parking. 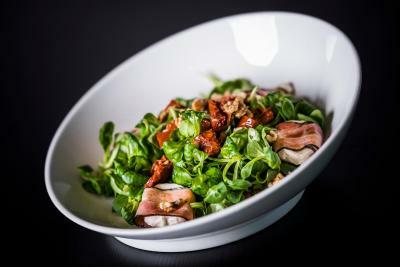 House Rules Courtyard by Marriott Prague Airport takes special requests – add in the next step! Any additional older children or adults are charged CZK 700 per night for extra beds. 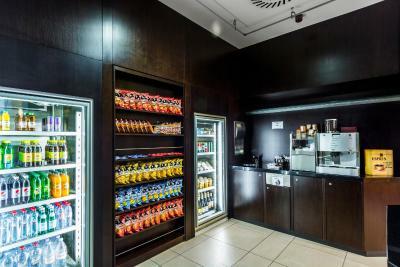 Courtyard by Marriott Prague Airport accepts these cards and reserves the right to temporarily hold an amount prior to arrival. The welcome by staff was excellent. The room was very clean. The hotel was quiet. There is a direct walkway from the second floor to the terminal 2 - about 2 minutes of walk and you are in the departures hall. Very convenient for an overnight sleep before an early morning flight. excellent service and transport available to the airport free well done. everything else. it is a typical 3 star hotel with no charm of Mariott. A great place to stay for a quick stopover before flying out of Prague. The location couldn't have been better, being right across the road from the airport entrance. They forgot to clean my room, on top of this, they blamed me that I place do not disturb label on the door, which is a lie, and moreover they forgot to invoice me, two times the room key did not work and I had to go up and down twice to change key, empty fridge in the room, no room service, bar and restaurant shut down at 22:30 in an airport hotel, like a kindergarden, only one plug on desk, no usb charger on walls, no slippers, air condition blowing all the time cold air unless you shut it down, choose another hotel if you can. Rather pricey, no spa facility that is appreciated between trips to relax and a bit hard mattress (although sleep was good). 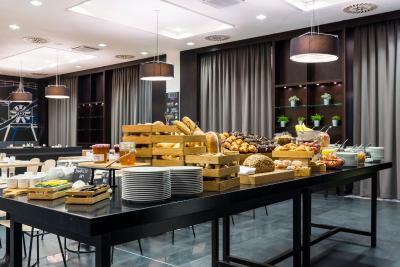 Inside the airport, big room, good breakfast. The room was outdated and the staff was not polite. The room was clean and in front of the airport. Good location. Nice small market at reception with good selection. Access card is required inside elevator even went down to lobby. There were dirty plates found at empty plates serving area in breakfast restaurant. Limited variety of foods for breakfast. More amenities like slippers, cotton swab..